Metsamor Hospital and Armavir Medical Center have been replenished with furniture and equipment. 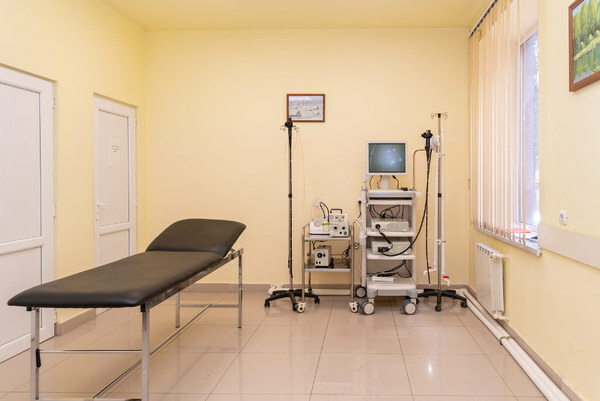 It became possible by the donation from Fruitful Armenia Foundation, established by the Argentine philanthropist of Armenian descent Eduardo Eurnekian, as a result of which gastroscopy devices were purchased for Armavir Medical Center and rooms were furnished at Metsamor Hospital. "With this initiative - by improving the quality and conditions of health care services in two communities of Armavir region with the support of Eurnekian family, we announce the launch of a new page in the history of Fruitful Armenia Foundation and intensification of the Foundation’s activity in Armenia", said Fruitful Armenia Foundation Board member Jorge Del Aguila Eurnekian. The region was not picked at random. Companies managed by Mr. Eurnekian are represented in Armavir - Converse Bank with 3 branches, Karas Vineyards and HayPost. Fruitful Armenia Foundation was established in 2011. Since then the Foundation has organized various charitable, social and public events, including but not limited to 10,500 computers presented to Artsakh schoolchildren, training courses organized for teachers and schoolchildren and consulting. In 2011-2017, Mr. Eduardo Eurnekian made donations of about USD 8 M in Artsakh. Simultaneously, 7 international conferences were organized in Armenia for development of agriculture and establishment of business contacts. Eurnekian School was opened in Etchmiadzin with the donation and initiative of Mr. Eduardo Eurnekian. In order to improve the school conditions a new building, meeting the best international educational standards, was constructed and launched last year.